two autographs and one Relic in every pack along with three base cards and a parallel inside as well. Every 12-box case of the hobby-exclusive product will include one Top Tier on-card autograph, too. This can only mean hundreds upon hundreds of dollars per pack. So, I guess I'll have to enjoy it from afar. 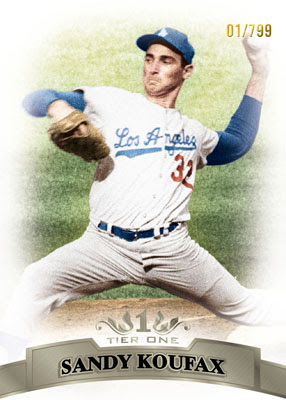 Anyway, they released some preview pics (check them out here at Beckett) which includes the below Sandy Koufax base card. It will be available in mid-November. Opening scene as the camera pans over the Los Angeles landscape. It soars past the burgeoning skyline over Staples Center, then the Library Tower. City Hall and Union Station can bee seen in the distance. Slowly it heads up Sunset Boulevard until it rest at the steps of Chavez Ravine, home of Dodger Stadium. The view was grim. Fires were raging and debris had been flung about like they were just some play toy to a behemoth wandering child. Why, you ask, was everything out of whack? Well, last night was Dodger Blogger Night and us pajama wearing troglodytes tore it up. Really... We are the underbelly of the internet, hidden in basements, sure to never see the light of day. To allow us into their lair for the 4th consecutive year is certainly a miscalculation of monumental proportions. I swear, the Dodgers will rue the day they welcomed us into their world, for nothing will ever be the same again. And, it hasn't been the same. The Dodgers have been willful explorers wanting to test the waters of the "New Media," and I think it's safe to say that they are winning. Heck, with all of the rancor that surrounds the Dodgers these days I was surprised and elated to find out that the Dodgers decided to continue on with their annual Blogger Nights at the stadium. This commitment to us was welcomed, and no matter the outcome of their recent troubles I think it is safe to say that our rabid worshiping at the steps of the mighty Dodger in the sky will not be abated. First, a big thanks to Josh Rawitch and Amy Summers for hosting the event, and an even bigger thanks to those special guest who gave us some of their time to entertain and wow the crowd. It started out with a bang. Andre Ethier gave a short conference, via phone, to ask and thank us for our support in the Final Vote campaign. BTW, remember to vote right here. Oh, and if you want to hear a little bit of what Andre said then check out Sons of Steve Garvey. The iPad holding videographer, who I shall call Steve Sax, was kind enough to post up Ethier's most salient comment for us all to hear. See the video here. Best moment: When Andre was asked why he should get our vote, he replied- "I'm a Dodger!" To this True Blue follower that was all I needed to hear. Other guest included Ron Cey who had some choice words for a currently employed Dodger who has made public his aim to buy the team out from under his boss. What was the word he used? Was it unprofessional... classless... I forget, but Ron certainly didn't pull any punches. Our last guest of the night was former Dodger Al "The Bull" Ferrara who regaled us with stories of his piano playing past and his Brooklyn upbringing. On a side note, I want to thank Dodger historian Mark Langill for taking a few moments to speak with me. He really does know just about anything Dodger related. From here the rest of the evening was a heaping pile of dung. The Dodgers didn't score and lost in spectacular fashion. Come on... Jason Bay!?! F'nnn Jason Bay!?! Crappppp! On a side note, I though Kemp's aggressiveness on the basepaths was a good thing to see. I was listening to Dodger Talk last night and was dismayed to hear the nitpicking some fans had for Matt Kemp. He was not blame for last nights loss. Anyway, that's my report. I am truly thankful for the graciousness of the Dodger staff and hope that we can do it again next year. Man... I hope that phrase from yesteryear doesn't become our annual cry. "Wait Til Next Year! Wait Til Next Year!" 3rd- 2010 (Dodger Blogger Night). UPDATE: Several other blogs have already put up their review of the Blogger Night experience. Check them out below. There were far more other blogs in attendance, so if I missed your post please let me know. When you hear the word stanky the last thing that comes to mind is ballplayer Eddies Stanky. Heck, you are more likely to run away in disgust than marvel at his magic. The Urban Dictionary defines it as "extremely smelly, not just the nasty kind," and it can get even more profane from there. 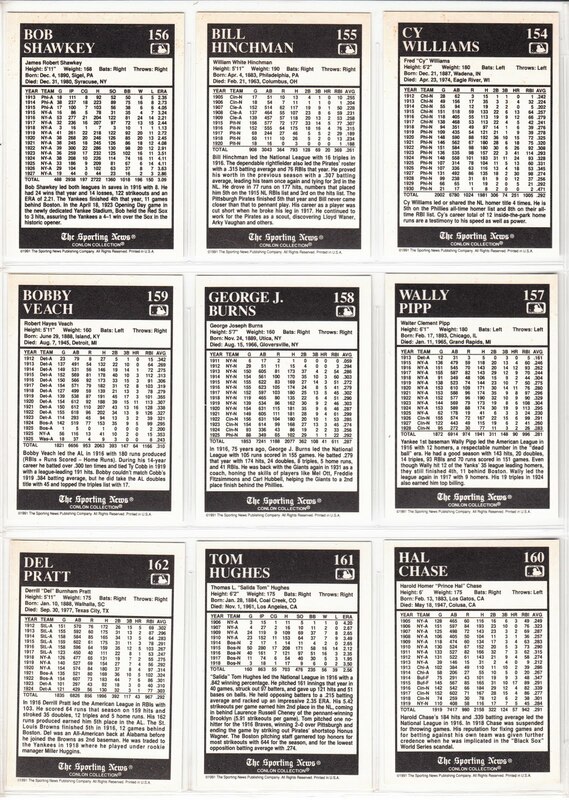 In actuality, Stanky is a name that goes way back in Dodger history and the circa 1947 Wheaties advertising above memorializes the man as a Dodger master of getting on base. I guess you can say he was Moneyball before Moneyball was Moneyball. "The Brooklyn Dodger diminutive infielder is a master of fouling good pitches, taking bad pitches... and waiting for a pass to first. Stanky earned more passes than any National Leaguer during 1946. 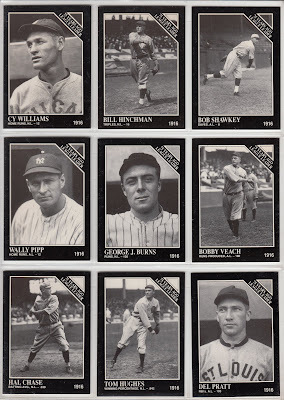 In 1945 he set a league record with 148 bases on balls... and led in runs scored with 128 tallies." Not only that, he loves his Wheaties. 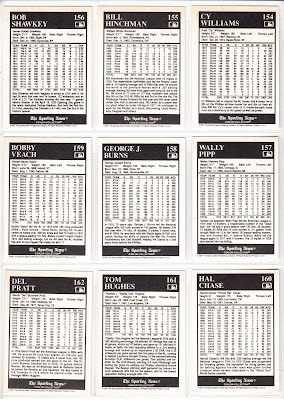 Here are the Daily Conlon cards numbered 154 through 162, and they feature league leaders from the 1916 Baseball season. Unfortunately, not a Dodger in the bunch. Man-O-Live, there isn't even a former Dodger here. I guess the cup doesn't runneth over during the early teens of the century. 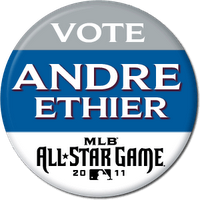 Vote for Andre Ethier. Do it now! "We're in last place and it's not always great to show up and watch the game as a fan," Ethier said. "But hopefully Dodger fans can put some stuff aside, and even if they're sitting at home watching instead of coming to the game, at least they can have the Internet in front of them and sit there and pound away all day and rally behind the players and me and show how great fans are in L.A."